Advanced Testing Lab & Technologies | Thumb Plastics, Inc. Thumb Plastics conducts stringent testing before, during, and after the injection molding process. Our process involves material property and thickness analysis, tensile, push/pull, and load testing, and the use of spectrometers to ensure your part’s optimum performance regardless of final application. 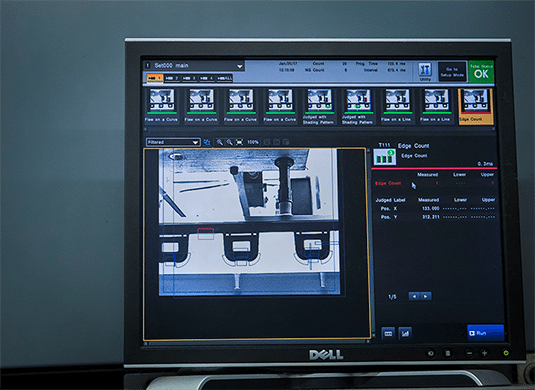 Providing customers with the latest in testing technology enables us to improve the quality of your products through early detection of material deficiencies and provides more detailed part information for process improvement. With literally thousands of material and process variations available for use in plastic products, it can be a daunting task to determine the optimal combination for your particular application. If you are unsure about the best option or even where to start with the selection process, we are here to help. 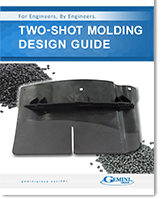 You can get started by reading our Guide to Plastic Process and Material Selection, available for download below. 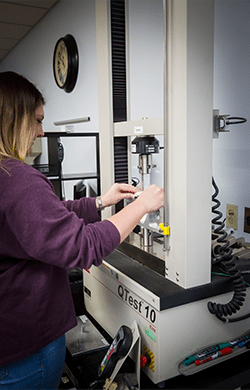 Our quality control and assurance testing systems provide accurate and repeatable mechanical testing to ensure that the material dimensions, flex, tensile strength, push/pull, load, adhesion, and other specifications of your custom plastic injection molding are met.